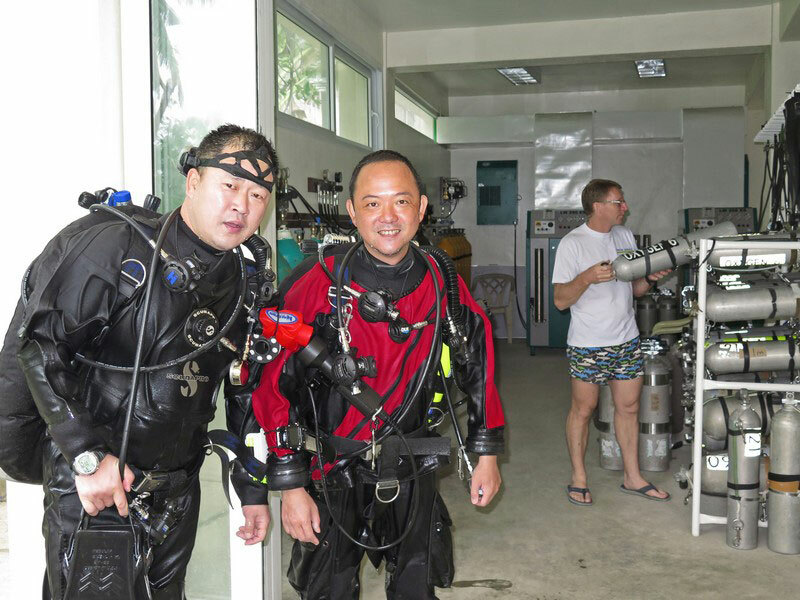 Tech Asia is a full service IANTD Technical Facility with Instructor Trainers able to teach up to Trimix, Technical Wreck, and Gas Blender Instructor level. 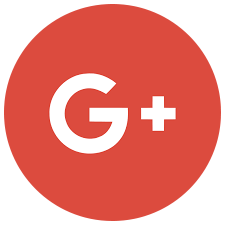 The prerequisites, purpose and course content for each program are outlined below, but contact us with any questions about how the courses can be run. Course Fees quoted here will include gas fills (other than helium), tank rentals and local boat charters. At Instructor level course fees do not include equipment rental, Instructor Manuals and any required texts, the Registration Fees for processing new levels (usually $85), or Annual Membership of IANTD Philippines or the region where an Instructor will reside and teach. Designed to qualify IANTD or equivalent Divemasters who are not Instructors to provide professional and quality programs to IANTD Divers. An IANTD Advanced EANx Instructor may teach IANTD Sport Diver Programs from OW to Divemaster, EANx, Deep Diver and Adv EANx programs. An IANTD Adv EANX Instructor who is also an IANTD Normoxic Trimix Diver may teach the Recreational Trimix, and Advanced Recreational Trimix Progams. This Instructor rating is a prerequisite to other Technical, Overhead Environment and Rebreather Instructor Levels. 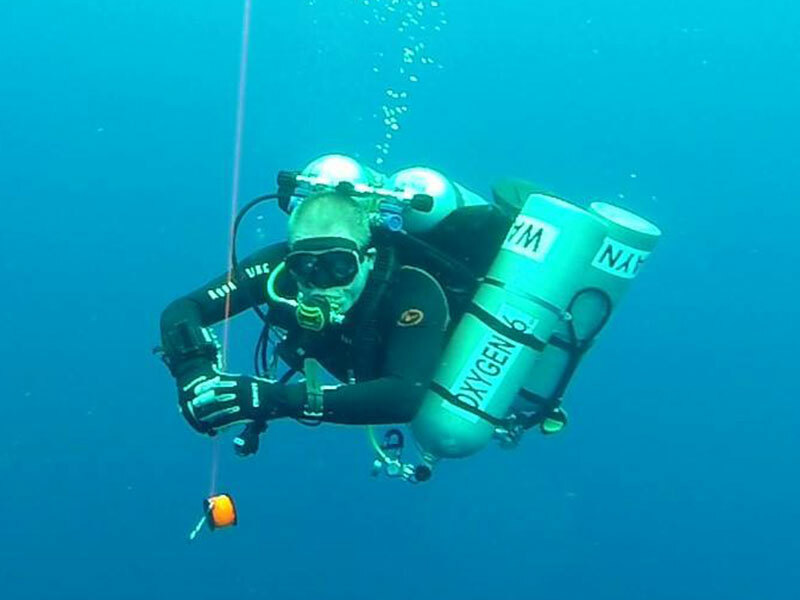 IANTD Divemaster or equivalent and IANTD Advanced Nitrox Diver. Log of 100 dives including at least 50 between 27m and 39m, and 25 Advanced Nitrox dives. Must have assisted on at least three courses from one or more of the following : IANTD Open Water, Advanced Open Water, EANx Diver, Deep Diver or Advanced EANx Diver, prior to being qualified as an Instructor. A comprehensive program conducted over at least eight days covering the methods of training all levels of IANTD Sport Divers. Orientation to IANTD and its Training Philosophy. Review of Standards and Procedures and of Gas Purity Standards. Review of Open Water, EANx Diver and Deep Diver/Adv EANx Diver Programs. Candidates will present at least one lecture from each of the Open Water, EANx Diver, Deep Diver and Adv EANx Diver courses. Candidate must perform, and demonstrate teaching proficiency, for all water skills up to the level of Adv EANx Diver. Candidate must supervise at least one Open Water dive from each of the Open Water, EANx Diver Deep Diver and Adv EANx Diver courses. Program Limits as for the Adv EANx Diver Program. All personal equipment required of an Advanced Nitrox Diver, such as lines and reels, slates, gauges etc. IANTD Student Manuals for the programs the Instructor will teach. To successfully complete the course candidates must be able to ensure quality instruction and demonstrate adherence to safe diving practices. Certification renewal is required annually, an instructor must teach two Nitrox, or co-teach 3 Nitrox Diver classes annually and remain a current member. 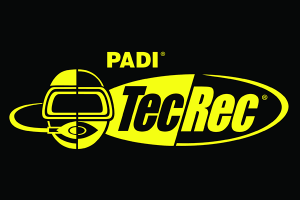 • Designed to train Instructors to provide professional and quality programs to IANTD Divers. 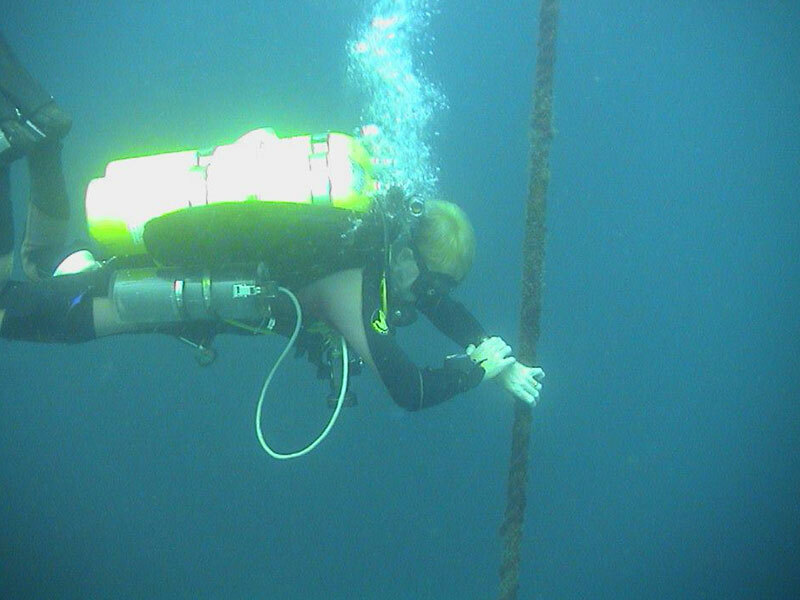 • An IANTD EANx Instructor may teach and certify OW, Adv OW and Nitrox Diver levels. • An IANTD Advanced EANx Instructor may also certify IANTD Divemasters, Deep Divers and Advanced EANX Divers. • An IANTD Adv EANX Instructor who is also an IANTD Normoxic Trimix Diver may teach the Recreational Trimix, and Advanced Recreational Trimix Progams. 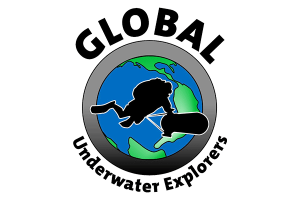 • This Instructor rating is a prerequisite to other Technical, Overhead Environment and Rebreather Instructor Levels. Log of 125 dives including 25 Nitrox dives. Minimum of IANTD Nitrox Diver, or Adv EANx Diver if wishing to teach to that level This can be done in conjunction with the IEC. A comprehensive evaluation program conducted over six days by an IANTD Instructor Trainer. Review of EANx Diver and Deep Diver/Adv EANx Diver Programs. Candidates will present at least one lecture from each of the Nitrox Diver, Deep Diver and Adv EANx Diver courses. Candidate must supervise at least one Open Water dive from each of the Deep Diver and Adv EANx Diver courses. IANTD Nitrox Diver, Deep Diver and Advanced Nitrox Diver Student Manual and Workbook. Upgrades and qualifies IANTD Advanced EANx or Advanced Recreational Trimix Instructors to be able to teach either Technical Diver, or both Technical and Normoxic Trimix Divers. Must be an Advanced Nitrox Instructor in active status. Be qualified as an IANTD Technical Diver or equivalent to teach at that level. 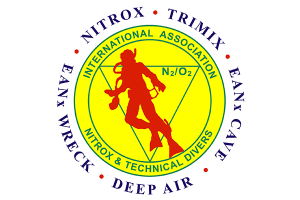 Be qualified as an IANTD Trimix Diver or equivalent if teaching at Normoxic Trimix level. For Technical Instructor, a log of 350 dives, with 100 deeper than 39m, and 30 on breathing mixes other than air ( including deco mixes ). For Normoxic Trimix Instructor, a log of 350 dives, with 100 deeper than 39m, and 25 on Trimix . Must have taught at least three Open Water, Advanced Open Water, EANx Diver, Deep and Adv EANx Diver courses. Assist on one complete Technical or Normoxic Trimix Diver course, prior to or during the Instructor course. A comprehensive program directing candidates in the methods of teaching IANTD Technical and Normoxic Trimix Divers, including a complete assist on a diver level course. Assist in a complete diver level course. 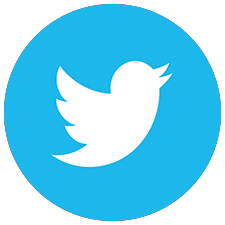 Give at least two complete lectures from the level being trained. Demonstrate proficiency teaching and demonstrating the skills required in a Technical/Normoxic program. 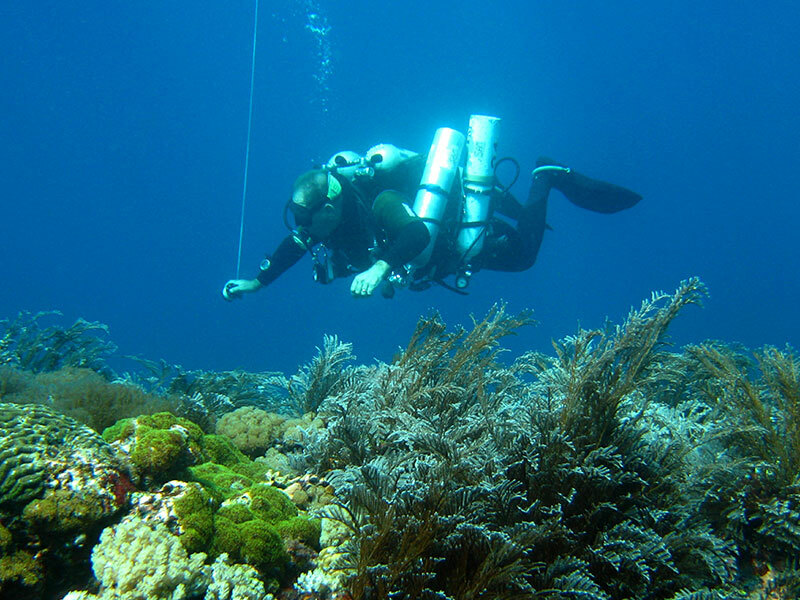 Supervise dives from Technical and Normoxic Trimix Diver courses. All personal equipment required of a Technical/Normoxic Trimix Diver, such as lines and reels, slates, gauges etc. IANTD Technical Diver Student Manual and Workbook and IANTD Technical Encyclopedia. To successfully complete the course candidates must be able to ensure quality instruction and demonstrate adherence to safe diving practices. Certification renewal is required annually, an instructor must teach three IANTD programs and one Technical or Normoxic Trimix class annually, log 20 non teaching technical dives and remain a current member. IANTD Technical or Normoxic Trimix Instructors may teach from IANTD Open Water up to their respective levels. Must be qualified as an Instructor with an equivalent technical level with another agency. Must have at least two years teaching experience, and have taught at the level crossing over to. Have a log of 350 dives, with 100 deeper than 39m, and 30 on breathing mixes other than air ( including deco mixes ). The program orients the candidate to IANTD, and it’s methods and procedures for training all levels up to either Technical or Normoxic Trimix Diver. Full Orientation to IANTD training methods and procedures. 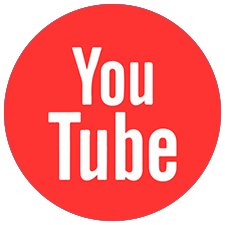 Review of all relevant course materials. Assist with at least one confined and two dives as performed in Technical or Normoxic Trimix Diver courses. Supervise one dive with the IT acting as a student. All personal equipment required of a Technical/ Normoxic Trimix Diver, such as lines and reels, slates, gauges etc. Designed to provide a more in depth knowledge Trimix Diving. Upgrades and qualifies IANTD Normoxic Trimix Instructors to be able to teach IANTD Trimix Divers. Must have been a qualified Normoxic Trimix Instructor in active status for at least one year, with minimum five years teaching experience. Be qualified as an IANTD Trimix Diver or equivalent. Have logged at least 500 dives, with 200 deeper than 39m, and 50 on Trimix. Must have taught at least twelve IANTD recreational or technical programs or their equivalent with another agency. Assist on one complete Trimix Diver course, prior to or during the Instructor course. 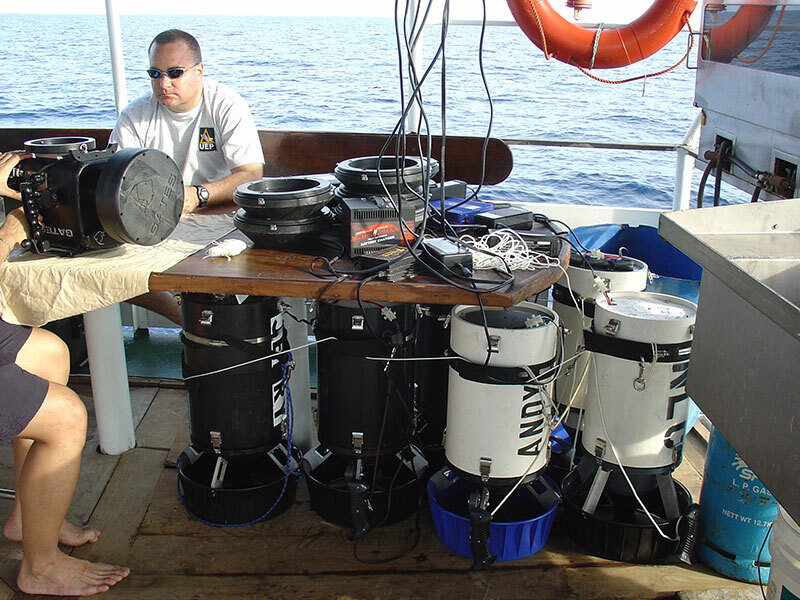 A minimum of 50 logged dives, of which at least 12 dives were made with enriched air nitrox, 12 dives were deeper than 18 meters and at least 6 dives were deeper than 30 meters. 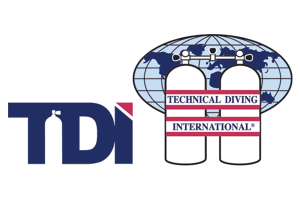 IANTD Trimix Instructors may teach from IANTD Open Water up to Trimix Diver level. Must have been qualified as a Trimix Instructor for at least one year, have taught the equivalent course, and have five years of teaching experience within the agency being crossed over from. The program orients the candidate to IANTD, and it’s methods and procedures for training all levels up to Trimix Diver. 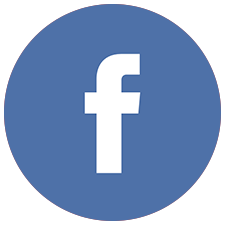 Give at least two complete lectures from the Trimix Diver program. Assist with at least one confined and two dives as performed in the Trimix Diver course. 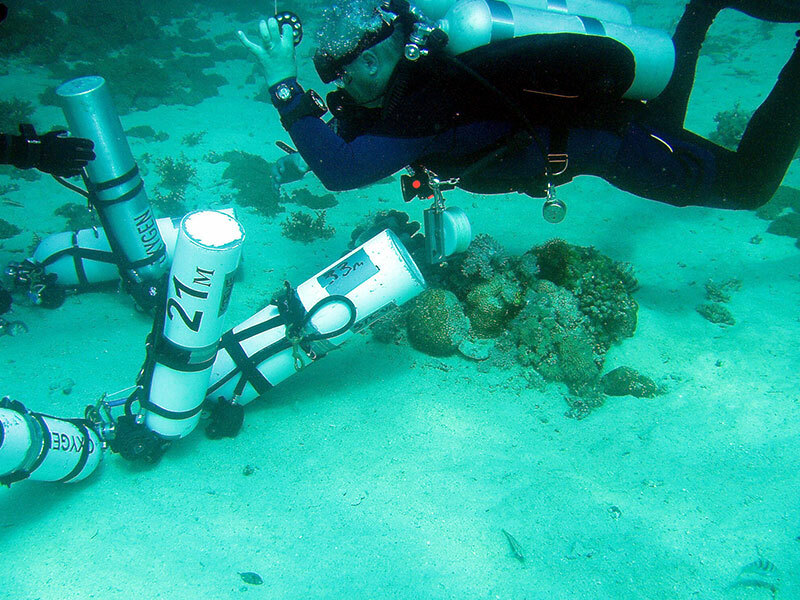 Demonstrate proficiency teaching and demonstrating the skills required in a Trimix Diver program. Supervise at least one Trimix Dive. All personal equipment required of an IANTD Trimix Diver, such as lines and reels, slates, gauges etc. IANTD Trimix Diver Student Manual and Workbook and IANTD Technical Encyclopedia. To successfully complete the course candidates must be able to ensure quality instruction and demonstrate adherence to safe diving practices. Certification renewal is required annually, an instructor must teach two IANTD technical level programs and one Trimix class annually, plus log 10 non teaching trimix dives and remain a current member. 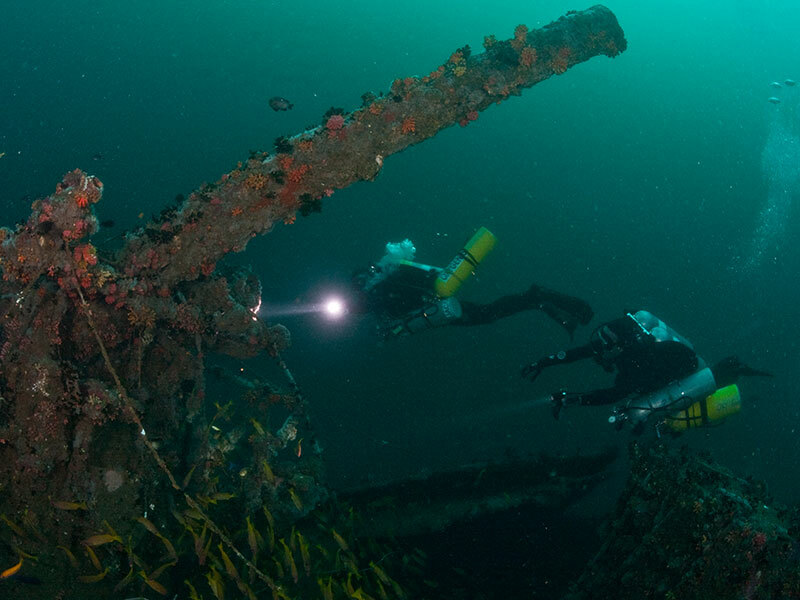 The program is designed to provide responsible training for Wreck penetration instructors. IANTD Technical Wreck Instructors may also teach IANTD Sport Diver programs. Must be qualified as an IANTD Wreck Instructor and Technical Wreck Supervisor. Have a log of 350 dives, with 150 being technical dives, 100 a combination of cave or wreck penetration with at least 50 of those being wreck penetration dives. Must have taught a minimum of three Wreck Diver courses. Program Content and Limits The program directs candidates in the safe methods of training IANTD Technical Wreck Divers. The program will normally be conducted in part or whole at alternative locations such as Subic Bay and other wreck sites. Must assist in AT LEAST one full Technical Wreck Diver program prior to or during the course. Complete lecture and in water teaching assignments as directed by the IT. Perform at least two evaluation dives with the IT acting as a student. All personal equipment required of an IANTD Technical Wreck Diver, such as lines and reels, primary and backup lights, slates, gauges etc. IANTD Technical Wreck Diver Student Manual and Workbook and IANTD Technical Encyclopedia. To successfully complete the course candidates must be able to ensure quality instruction and demonstrate adherence to safe diving practices. Certification renewal is required annually. An instructor must teach two IANTD technical level programs annually, or co-teach three technical programs including one Wreck Diver course. Must log at least 25 overhead environment dives of which twelve must be non-teaching wreck penetration dives, and remain a current member.